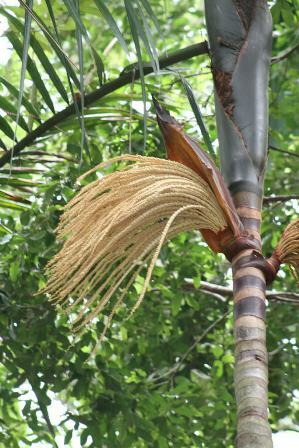 Turu is a wild growing palm widely distributed the countries of Amazonian rainforest e.g. Brazil North, Colombia, French Guiana, Guyana, Suriname, and Venezuela. Though it has still not been brought under cultivation, yet it is fairly economically important fruit of the region because of its fruits which are widely eaten fresh and made in a drink by local people. There is a city called Bacabal in the Maranhao State in Northen Brazil. This city has a very large population of trees of this fruit and hence called Bacabal. 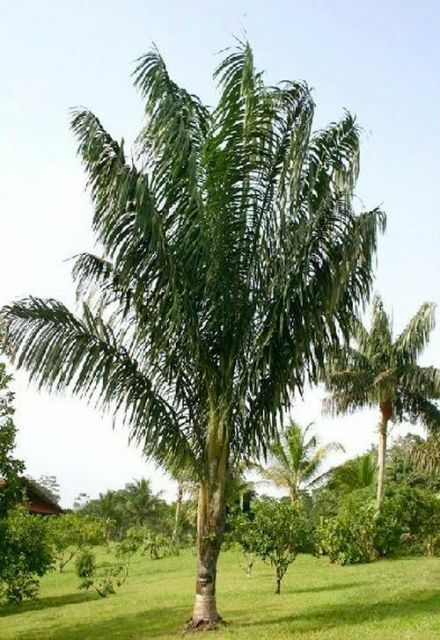 A solitary palm, 7-20 m tall, caulis 15-20 cm wide with a short crown shaft at the apex. Leaves pinnate, 3-5 m long, 10-15 concurrently, with pinnae irregularly distributed on rachis, in groups of 2-9 arranged on different planes. Inflorescences intrafoliar with 103-245 rachis. Fruits globose, 3 g, dark red to purple from outside and creamy white flesh which is rich in oil. Turu fruits are edible and eaten out of hand. But the major use of this fruit is for making juice and a wine. The juice has medicinal uses too. An oil is obtained from seeds. Though turu has still not been brought under cultivation as enough fruits are available from wild growing trees but this tree can be easily grown in frost free areas. 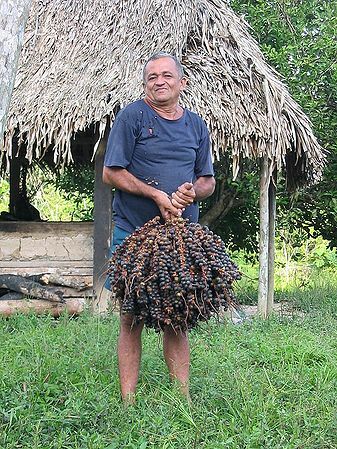 Turu is the highest fruit yielding palm in Amazonia producing around 2500 fruits per bunch. Bunches usually weigh about 3–4 kg, but can weigh up to 10 kg. Propagation is by seeds that germinate in 60–120 days, with slow growth. Production begins when the tree is 3–4 meters high, after about 6 years.